The art of fining dining is not accentuated by high quality cuisine only, but it is also the dining accessories on which the art of fine dining rests. 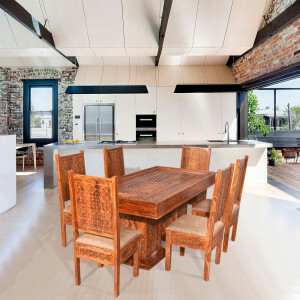 Whether you want to have a lunch at home, or a sumptuous corporate dinner, nothing can beat the elegance and style imparted by a solid wooden dining table. Designs, patterns, wood carvings along with multiple forms of functionality add to the glamour of Sheesham wood dining tables that are now available online. 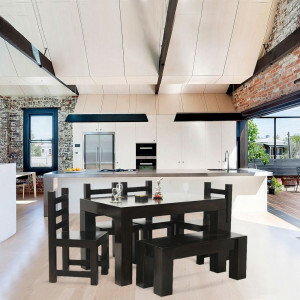 Since you now have the benefit of buying solid wooden furniture online, you can choose from dining tables that are exclusively made for the contemporary homes, with maximum utilization of available space. Carved legs, simple legs, wooden leg-rests and treacle legs, along with burnished and Mahogany top surfaces are some of the most favourite varieties that one can ask for. For an exclusive dinner party at home, or as a wedding gift to someone you love, you can choose from Sheesham wood dining table online. Depending on the number of family members you have at home, you can choose from 2 seater, 4 seater or even 6 seater dining table sets to highlight your dining experience. Manufactured with solid Sheesham wood that speaks of fine artistry and craftsmanship, a wooden dining table set can be an asset in your home. 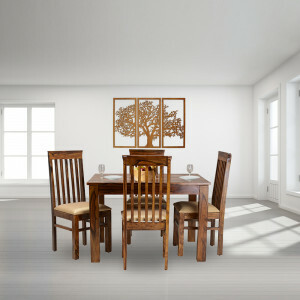 Combining the solid wooden dining table sets with a set of dining chairs can be the best way to motivate your guests to visit your home for a house-warming party. Depending on the background decor of your house, you can choose from Mahogany, honey finish or even lighter golden polishes to complement the colour of your interior. 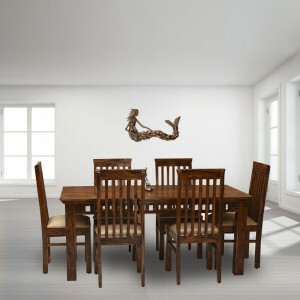 Also, keep in mind, that now, you can buy dining table online that can maximize the space utilization in your home. Reputed stores like Naveen Arts can give you the exquisite flavour of wooden furniture online. 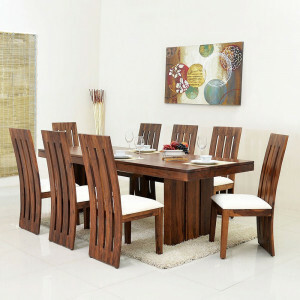 The wooden dining table set is ideally suited for apartments, hotels and even for large homes. 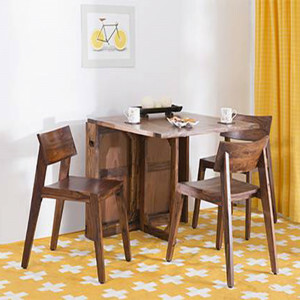 Slender legs, ideal heights, and even upholstered wooden dining chairs or wooden stools are available to make your dining experience worth remembering. At Naveen Arts, you can grab the finest Sheesham wood furniture that speaks of years of expertise in carpentry. 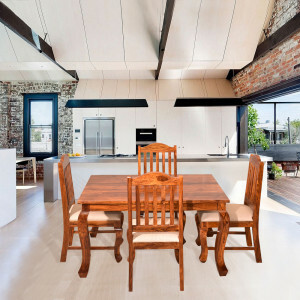 Get your collection of wooden chairs, round or extendable dining table sets, wooden stools, sofas, beds, bar cabinets, mirrors, bathroom renovation ideas and even wooden accessories.